"Saudi Arabia is not to become a collateral strategic partner in the CPEC. This impression is not true," Pakistan's Minister for Planning and Development said. The so-called 'CPEC' is the flagship project of the multi-billion dollar Belt and Road Initiative or BRI, a pet project of Chinese President Xi Jinping. The 'CPEC', which passes through Pakistan-occupied Kashmir or PoK, is aimed at connecting China's Xinjiang region with Balochistan's Gwadar Port. The BRI aims to increase China's influence around the world through infrastructure projects funded by Beijing. 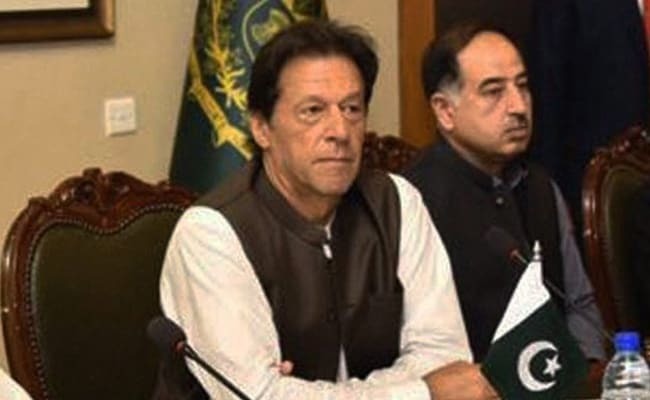 Pakistan's Minister for Planning and Development Khusro Bakhtiar told his country's media on Tuesday that the cash-rich kingdom's proposed investments would fall under a separate bilateral arrangement, Pakistan's Dawn news reported. A third country can participate in the 'China-Pakistan Economic Corridor' by taking part in the business and investment ventures arising out of the project, Mr Bakhtiar said. "The framework between China and Pakistan is bilateral and Saudi Arabia is not entering that framework as a third-party investor, rather the base of the 'CPEC' will be broadened and its pace will be expedited," he said. Last month, Pakistan's Information Minister Fawad Chaudhry said that Saudi Arabia is the third "strategic partner" of the 'CPEC', soon after Imran Khan returned from his first official foreign visit to the kingdom. Interestingly Mr Chaudhry was sitting with Mr Bakhtiar when he issued clarification that Saudi Arabia participation in the 'CPEC' was not as third partner in the project. Mr Bakhtiar further said that there was no decision to bring a third country, like Saudi Arabia, under the framework of the 'CPEC'. He was responding to questions about the possibility of Saudi Arabia becoming part of the Joint Working Groups or Joint Coordination Committee on the 'China-Pakistan Economic Corridor'. Mr Bakhtiar said there could be many offshoots of the 'CPEC' where third countries could be involved in trilateral arrangement for infrastructure development, like China-Pakistan-Japan, China-Pakistan-Saudi Arabia or China-Pakistan-Germany. The minister dodged questions when asked how the cost of Main Railway Line (ML-I) had been reduced by $2 billion from $8.2 billion to $6.2 billion as claimed by Pakistan's Railways Minister Shaikh Rasheed Ahmed. Mr Bakhtiar said the 'CPEC' portfolio currently stands at over $50 billion, of which about $6 billion was government-to-government loan and remaining in Independent Power Producers mode mostly in the energy sector. About $29 billion worth of projects were currently in progress. He said the 'CPEC' had far bigger potential than $50 billion and would keep expanding with time as new projects come up but the previous government treated and played it like a T-20 match instead of a five-day test series and focused mostly on projects which could be completed during its tenure. India has protested to China over the so-called 'China-Pakistan Economic Corridor', which is being built through Pakistan-occupied Kashmir, which is part of India's northernmost state Jammu and Kashmir.